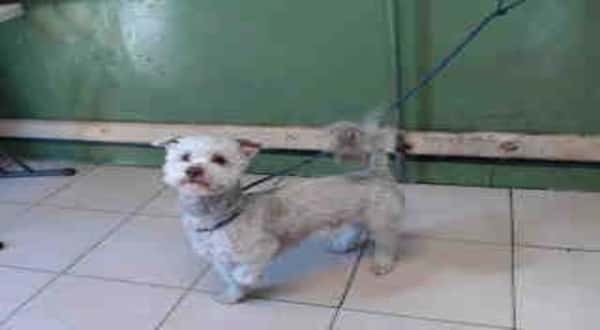 #A5148213 My name is PUPPET and I'm an approximately 1 year old male Poodle Mini. I am not yet neutered. I have been at the Carson Animal Care Center since 2/3. I will be available on 2/3. You can visit me at my temporary home at CRECEIVING. For a young 1 year old male Poodle Mini named PUPPET, his short time on earth has been nothing but an uphill struggle. For some unforsaken reason, his owners just didn’t have the time to care for him, nor show him the love and attention he deserved. 2 Responses to "no rights, no choice, 1 year old male Mini watches his family as they leave him behind"
Beautiful little one!! Come on......lets give her a loving home! !